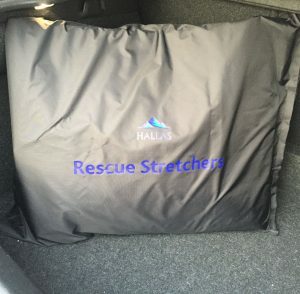 The Hallas Rescue Stretchers are specially designed for mountain rescue. 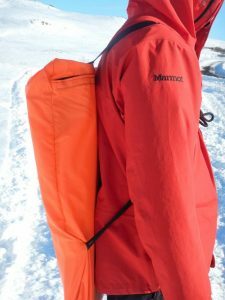 The idea for these specially designed stretchers derives from the fact that mountaineering is popular regardless of the weather all year round. Weather conditions often change without warning, people get tired, stumble or exhaust themselves while walking. Quite quickly hypothermia can set in and compact equipment to transport people can become essential. The stretchers take up little space in emergency vehicles, helicopters and on snowmobiles. They can fit in a backpack. The stretchers are specially designed to be a casing for the injured person while being transported and a protection from strong winds. 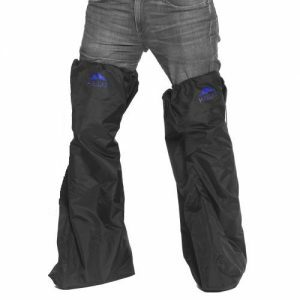 They are made from a waterproof tarpaulin, with a firm board for the base, a waterproof covering and convenient handles for transportation. The best thing about the Hallas Stretchers is that they can be carried on the back and are only 4,9 kg. Hallas was founded in the spring of 2016 by the company’s manager and entrepreneur. Hallfríður is a nurse with a Master’s degree Health Management. 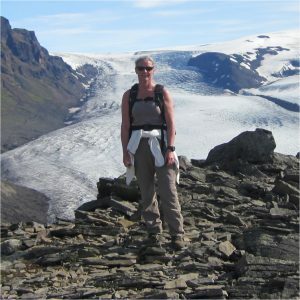 She has been an avid traveller in the Highlands for several years both on foot and horse back, she has been part of the Icelandic Association for Search and Rescue and is familiar with the conditions surrounding the transportation of those injured in the Highlands.